Back in November, I reported that Laurelwood was shifting its contract brewing from the CBA's Woodinville, Wash. facility to Full Sail in Hood River. Laurelwood will be just fine brewing large scale packaged product at Full Sail. But it wasn't their choice to make the change. The way it apparently came down is the Craft Brew Alliance told Laurelwood it wanted out of the contract. It was a little puzzling. This had been a good arrangement for both parties. Why end it? Well, sometimes you need to see the full picture. And it was revealed this week. On Monday, the CBA announced it has entered into an agreement by which Pabst will begin brewing a subsidiary brand, Rainier Mountain Ale, at the Woodinville brewery this spring. Further, Pabst has the option of purchasing the brewery outright at any time in the next three years. For its part, Pabst is pleased as punch that they will be brewing a Rainier brand in its home state. It makes for a nice story, if nothing else. They will apparently revive several archived Rainier brands. Mountain Ale, to be packaged in iconic 16 oz bottles, will be first. Pabst's portfolio is loaded with crap brands, most of which are brewed by MillerCoors. That isn't going to change. Even standard Rainier won't be brewed in Woodinville. Pity. Pabst was able to negotiate a deal for the Woodinville brewery because the CBA no longer needs it. Expansion and modernization at the Portland brewery, which will be capable of producing 750,000 barrels annually, means (as one source put it) the CBA will soon have a very efficient brewery in Portland and a very inefficient one in Woodinville. Rumors had been circulating that the Woodinville facility was for sale. 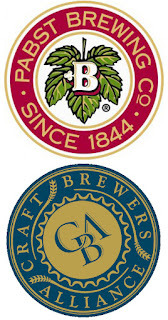 The CBA brass surely preferred sale to closure, and the arrangement with Pabst is a step in that direction. Moreover, it buys time for the CBA to fully shift production to Portland while Pabst gets comfortable in Woodinville. Sale of the brewery seems imminent within the three year timeline. In case you're wondering, the Woodinville facility, better known as Redhook Brewery, was built in 1994. It has a capacity of around 200,000 barrels a year and has brewed Widmer and Redhook beers, as well as contract brands, like Laurelwood. This is where Widmer brewed all of its hoppier brands, a result of the fact that the Portland brewery was unable to handle those beers. But never mind. The CBA is striving to consolidate production and increase efficiencies wherever possible. Shifting Northwest production to Portland is part of that. They're also leveraging a partnership with Blues City in Memphis, which brews Kona brands for the eastern market and allows them to contract brew non-owned brands at their Portsmouth, N.H. brewery. Efficiency, efficiency, efficiency. CEO Andy Thomas says the CBA has never worked more closely or been more closely aligned with the interests of its mentor and part-owner, Anheuser-Busch. Right. The comment makes a ton of sense when you look at what they're up to. And there's more. 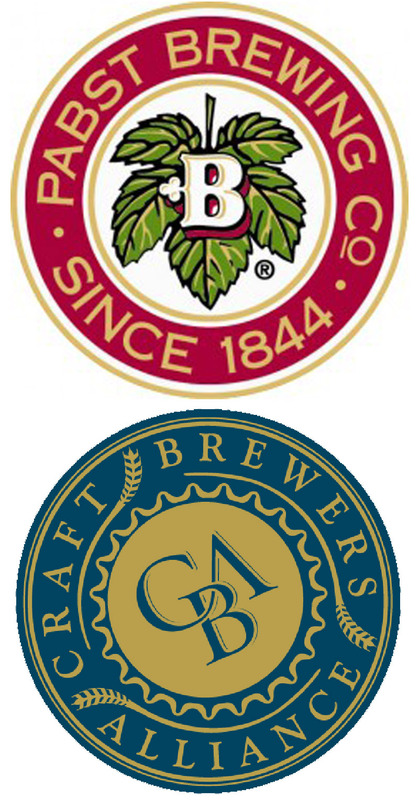 Recall that CBA beers are distributed by AB around the country, an arrangement dating back nearly two decades. Now comes news that they are pushing Kona brands into Brazil via ABI subsidiary Ambev, which dominates the beer market there. In the US, the CBA is a party to AB's anti-competitive incentive program, whereby distributors receive giant bonuses for selling AB products while dumping or ignoring independent craft brands. Great stuff. Of course, none of this matters all that much to Laurelwood, which is where I started. They've been asked to let the CBA know they'll be done in Woodinville, another way of asking when they'll be ready to go in Hood River. Time is money and the bean counters are clock watching. No word on when the CBA will become a fully-owned subsidiary of Anheuser-Busch. Sometime in the not-too-distant future, I suppose. Do you happen to know why Widmer couldn't brew the hoppier beers in Portland? Brewery design didn't allow for high hop load beers. Several sources have verified that intel.